With the Super Bowl over and the Rodeo Road Trip beginning, the real season begins. Aside from a showdown with the skeleton of the team that ended the Spurs’ season (and by happenstance Tim Duncan’s career) last spring, there really wasn’t much for the Spurs do last week except get back on track from a brief stretch of second-half breakdowns against inferior opponents and take care of business in its final home games for the month of February. 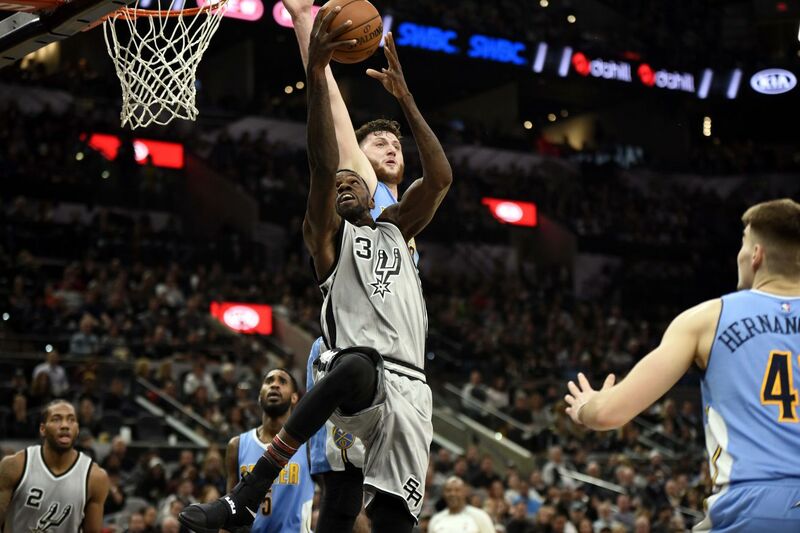 After another third quarter scare against the previously mentioned Thunder, the Spurs righted that ship and didn’t let their next two opponents have any hope for miracle comebacks. With that problem hopefully resolved, the Spurs now embark on their annual Rodeo Road Trip, where they typically come together and bond as a team (even more so than usual) as they prepare for the final stretch of the regular season. Per usual, the schedulers didn’t fail in making the post-All Star break a little wild for the Spurs, so hopefully they use this trip constructively and return home on March 1 healthy and ready for battle. The Spurs (who were once 23-0 in games they led by double-digits) lost their previous two games after leading by 11 and 15 points and then blew an 18-point lead against the Thunder on Tuesday. But they recovered with a big fourth quarter, are on a three-game winning streak, and are back in the No. 1 spot in defensive efficiency, having held OKC, Philadelphia and Denver to less than 90 points per 100 possessions. After shooting 0-for-8 in previous two wins, Tony Parker was 8-for-8 in Saturday’s win over the Nuggets. Now, it’s rodeo time. Gregg Popovich becomes the all-time coaching leader in victories with one team with his 1,128th win as the Spurs’ coach, on Saturday against Denver. Popovich passed Jerry Sloan, who held the previous mark as Utah’s head coach from 1988-2011. Monday’s TNT date in Memphis launches the Spurs’ annual Rodeo Road Trip, with this edition spanning eight games and denying them another home game until (gasp) March 1. Bear in mind, however, that the Spurs went 7-1 on last season’s RRT and are a robust 82-35 overall on RRT excursions since the practice began during the 2002-03 season when they moved to the AT&T Center. The eight games in total, which spill across both sides of the All-Star break, will require San Antonio to travel 7,371 miles but are spaced out somewhat comfortably over a span of 21 days. And as the unstoppable Micah Adams notes, Gregg Popovich has a higher winning percentage in RRT games (.701) than he does in all other games in the Pop era (.694). Cheers to Gregg Popovich, who is now the winningest coach with one team in league history, as well as America’s unlikely moral compass. On a semi-related tangent, Manu Ginobili scored 18 points in 10 minutes on Saturday. The Spurs will never die. San Antonio doesn’t own the No. 1 spot, but they’ve invested in a time share here for years so they pretty much have the run of the place. They have a key to the sauna room, they get valet comped, they get a special table and the best local restaurants. But they’re not locals anymore. Gregg Popovich is now the winningest coach with one team in NBA history, and his team just keeps racking up wins after win. By the way, he had to pass Utah’s Jerry Sloan to get that title. Monday night in Memphis the Spurs kick off their annual rodeo road trip, with nine of their next 10 games away from home.